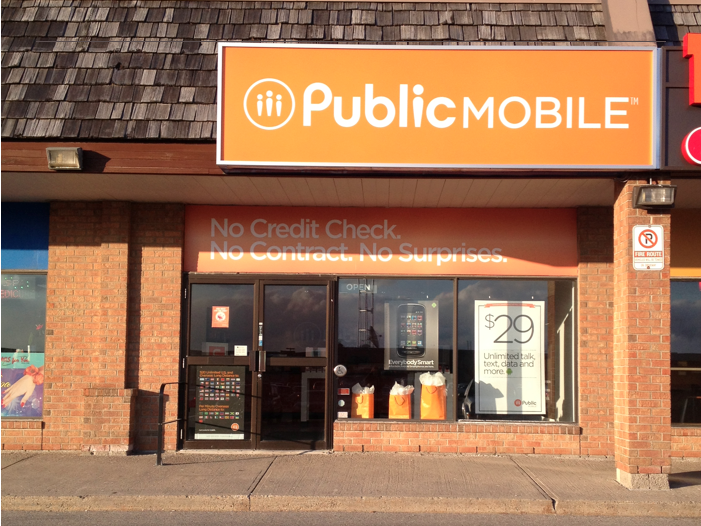 When Public Mobile launched its wireless service in 2010 they targeted “value conscious Canadian consumers” with unlimited low-cost talk, text and data plans. Now, four years later, the carrier has sold its spectrum and 222,000 subscribers to TELUS. The past few months have seen Public Mobile migrate from CDMA to TELUS’ 4G HSPA+ network, revamp its monthly price plans, and also launch a small selection of smartphones under the Koodo Mobile brand, which is another arm of TELUS. Now it seems that Public is fading into the background. The majority of the physical locations in both the Toronto and Montreal area have now vanished, or will be closing, and Public Mobile is heading towards a “self serve” model where customers can top up their account online, or via a “payment voucher” purchased at various outlets such as Canadian Tire, Esso, or Hasty Market.